MJ Murphy was the first interviewee on the Yes Music Podcast Interview Specials. He recently returned the favour and was kind enough to interview me for his own podcast, which is part of his fantastic Twilight Guitar website. Not only is Mike a brilliant teacher and guru of all things guitar, he’s also a talented blogger, podcaster and one of the most generous people you could hope to meet. So make sure you listen to the interview on his site, sign up for his podcast and then take a look at the rest of what Mike has done – it’s all great! 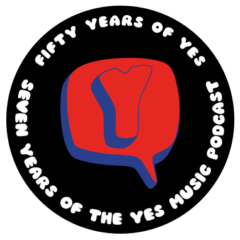 Next Next post: What are your Yes music champagne moments?